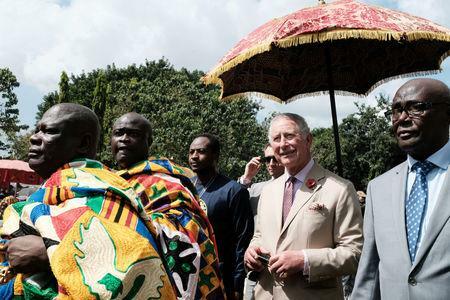 ACCRA (Reuters) - Prince Charles acknowledged Britain's role in the slave trade on Monday calling it an appalling atrocity that had "left an indelible stain on the history of our world". In a speech in Ghana, which served as a major hub where African slaves were held before being shipped away, most across the Atlantic, the heir-to-the-British throne said the "profound injustice" of the past could never be forgotten. 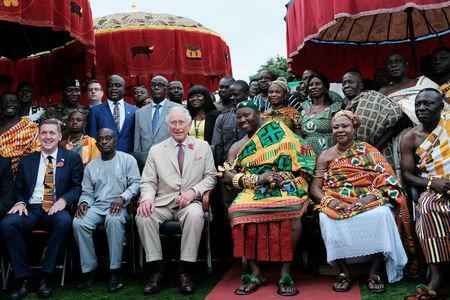 "At Osu Castle on Saturday, it was especially important to me – as indeed it was on my first visit there forty-one years ago – that I should acknowledge the most painful chapter of Ghana’s relations with the nations of Europe, including the United Kingdom," Charles said. "The appalling atrocity of the slave trade, and the unimaginable suffering it caused, left an indelible stain on the history of our world." Two days ago the prince visited Christiansborg Castle in Osu which originally operated as a Danish slave trade fort and from where it is estimated more than 1.5 million Africans were traded. The castle later became the seat of the Ghanaian Government after the country's independence from Britain in 1957. "While Britain can be proud that it later led the way in the abolition of this shameful trade, we have a shared responsibility to ensure that the abject horror of slavery is never forgotten," Charles said in his speech. The prince and his wife Camilla are on the second leg of a tour of three African nations, having already visited Gambia, which he congratulated for turning its back on autocratic rule and returning to the Commonwealth, before he heads to Nigeria on Tuesday. In his speech in Accra, Charles, who earlier this year was approved as successor to his 92-year-oldmother Queen Elizabeth as head of the Commonwealth, spoke of the role the loose alliance of 53 member-states could play in tackling climate change, a key campaigning issue of the prince. "In such an uncertain and changing world, none of us can know what kind of a planet our grandchildren, and great grandchildren, will inhabit, but the Commonwealth ... offers us a vital mechanism to help ensure that it is not poisoned and polluted and that its vitality is not compromised," he said. The royals will conclude their tour a week before Charles celebrates his 70th birthday on Nov. 14.